The hegemony of the usual suspects in the cobbled Classics is in danger of being shattered by two thrillingly talented youngsters who have migrated to the road from cyclocross – Wout van Aert and Mathieu van der Poel. Although he has yet to pull off win this year, van Aert (Jumbo-Visma) has been one of the most impressive performers this spring, regularly instigating moves at the decisive moments in races, and landing podium finishes at Strade Bianche and the E3 BinckBank Classic. Arguably, van der Poel has been even better. Three days after registering an eye-catching fourth place in the sprint finish of Ghent-Wevelgem, the Dutchman triumphed at Dwars door Vlaanderen, a first ever WorldTour victory on just his second attempt. And it wasn’t just the result that caused a stir, but the manner in which he rode – his decisive, devastating attack was made a whole 50km or so form the finish, and he continued to push on at the front until winning a five-man sprint at the finish. Can Deceuninck-Quick-Step get back to winning ways? A run of two WorldTour Classics without a victory can hardly be considered a drought, but by the lofty standards of Deceuninck-Quick-Step it does mark a downturn in form. Having won four of the first six WorldTour-level Classics of the season, they drew blanks at both Ghent-Wevelgem and Dwars door Vlaanderen, with Elia Viviani failing to get involved in the finishing sprint in the former, and Bob Jungels missing out to van der Poel in the latter. Nevertheless, the Belgian team bring a formidable line-up to the Ronde, with a total of four potential winners. Zdeněk Štybar has been one of the stars of the spring, having triumphed at both Omloop Het Nieuwsblad and the E3 BinckBank Classic, while Jungels and his long-range attacks has been a revelation on the cobbles. Yves Lampaert is the joker in the pack, and too quality a rouleur to be given leeway in an attack, while Philippe Gilbert, despite his quiet form, can never be discounted. 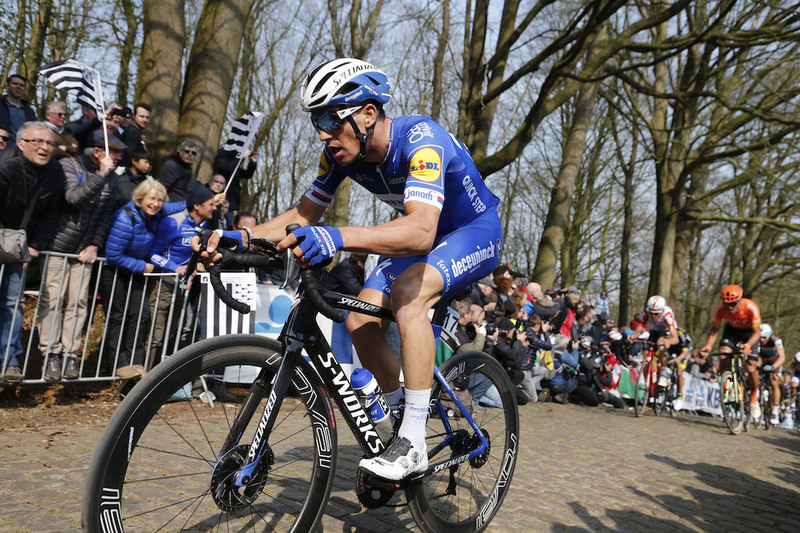 Gilbert’s win here in 2016 was followed by another Deceuninck-Quick-Step triumph courtesy of Niki Terpstra the following year – with such firepower at their disposal, the team look primed to make it a hat-trick of Tour of Flanders victories. If you’d have asked most pundits before the start of the season which riders were mostly like to win the Tour of Flanders, the names of Peter Sagan (Bora-Hansgrohe) and Greg Van Avermaet (CCC) would likely have been the most common answers. In fact, when Cycling Weekly’s very own wise council of writers selected our picks for the season’s big races, only two out of six picked a rider other than that esteemed duo to claim victory at the Ronde. However, neither have enjoyed an especially fruitful spring leading into the big day. 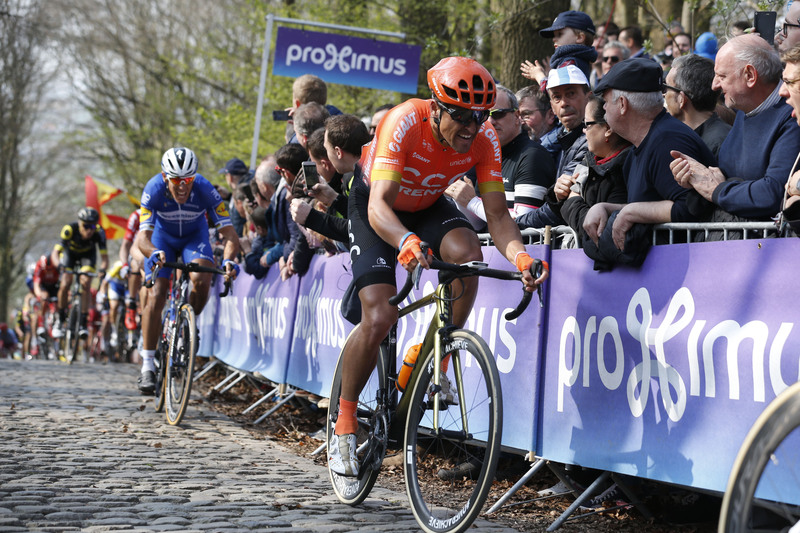 Van Avermaet has shown flashes of his best and managed podium finishes at Omloop Het Nieuwsblad and the E3 BinckBank Classic, but hasn’t actually won a race since the Volta a la Comunitat Valenciana nearly two months ago. Sagan, meanwhile, has looked short of his best form all season, and has for only the second time in the last seven years failed to win a Classic by this point in the spring. If either rider is to win the Ronde, they’ll have to reverse a current trend – since 2015, no-one has managed to do so without having already won at least one of the preceding cobbled Classics that season. Such quality riders can never be written off, but recent history is against them. 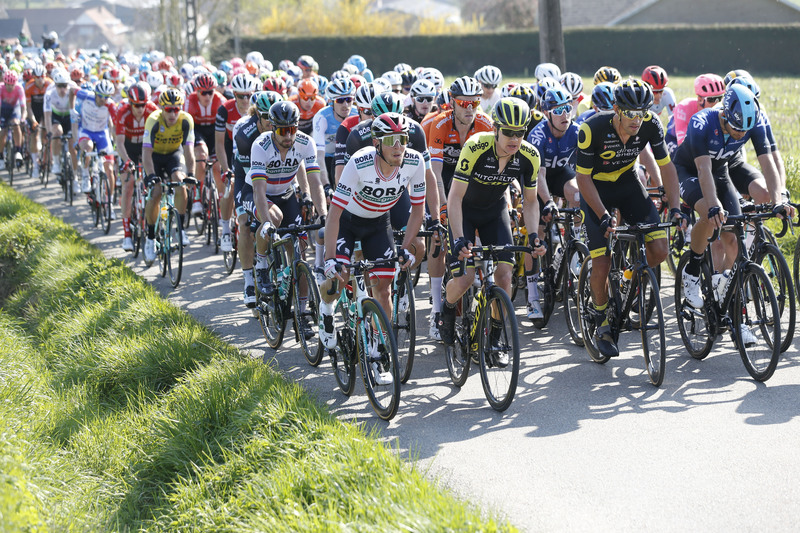 With no clear favourite for the Tour of Flanders, a large pool of riders will fancy their chances of success, via several different tactical approaches. Some will take a punt on a long-range attack, with the iconic Kapelmuur a potential springboard at 100km from the finish, or the equally infamous Koppenberg at 46km. Mads Pedersen (Trek-Segafredo) held on for second place last year having first made a move prior to the latter, so could try something similar this time around, while Luke Rowe (Sky) showed an appetite for long-range moves at Ghent-Wevelgem last weekend. The climb of the Kruisberg (this year tackled 27km from the finish) has proven to be especially important landmark in recent editions. Alexander Kristoff (UAE Team Emirates) won the 2015 edition following an attack in the immediate aftermath of the climb, and currently looks in both top sprinting and climbing form having won Ghent-Wevelgem on Sunday; while Niki Terpstra’s race-winning attack last year was made on the climb. Some will attempt to slip away here, but most will probably wait for the now-familiar climactic climbs of the Oude Kwaremont (17km from the finish) and Paterberg (13.5km). The likes of Tiesj Benoot (Lotto-Soudal) and Oliver Naesen (Ag2r La Mondiale) could conceivably break clear form the rest of the field here if on top form; as could Alejandro Valverde (Movistar), although as a Flanders debutant he’s more of wildcard. Finally, there’s always an outside chance that a largish group could make it to the finish together and contest a sprint, in which circumstances the likes of Arnaud Démare (Groupama-FDJ), John Degenkolb (Trek-Segafredo), Matteo Trentin (Mitchelton-Scott) and Michael Matthews (Sunweb) could come to the fore. Arguably the highlight of the spring and most prestigious classic on the calendar, the women’s Tour of Flanders always serves up excitement in spades. The addition of the Taaienberg climb to the finale will make this year’s route even tougher than usual, and will play into the favour of tough riders hoping for a selective race. Usually Anna van der Breggen, who won last year’s edition with a devastating solo attack, would relish this, but the Dutchwoman has had a quiet start to the season, and could cede leadership to her Boels-Dolmans team-mates like Omloop Het Nieuwsblad winner Chantal Blaak or last year’s runner-up Amy Pieters. The on-form rider heading into the race is probably Marta Bastianelli (Virtu Cycling). Having won Ronde van Drenthe with an attack on the cobbles and from a three-woman group, and Omloop van het Hageland in a sprint, she’ll be equally confident of claiming victory wither from an attack or a sprint. Others to look out for include Ellen van Dijk (Trek-Segafredo), who produced one of her trademark rouleur attacks to win Dwars door Vlaanderen; 2011 winner Annemiek van Vleuten (Mitchelton-Scott), who may not have raced much this spring but looked exceptional last month when winning Strade Bianche; and Marianne Vos, who looks as though she has the form to claim a second career Flanders victory having triumphed the Trofeo Alfredo Binda.